The U.S. dollar is beginning to lose its grip as the dominant currency in the world economy. We’ve warned about the dollar decline before, and now it’s starting to become a reality. According to analysts at BMO capital markets in Toronto, an investment banking subsidiary of Bank of Montreal, the U.S. dollar is forecast to continue its decline in 2018. As the dollar continues to waver, more and more experts are predicting the dollar’s doom. Like Hugo Salinas Price, who thinks the U.S. dollar will simply start to become less relevant in 2018 as Eurasian countries begin to take the lead in transforming the global currency stage. Earlier this month we reported that China would be launching a yuan-dominated oil futures contract. On March 25th, they officially started trading their oil futures contracts. In the first hour alone they traded 10 billion yuan worth. That’s significant demand for those keeping score. The “Beast from the East” is aiming to take down the U.S. and become the world’s Petro-King. The dollar is not backed by gold, but the new petroyuan is. Since gold’s value is universally recognized, it’s an easy decision for countries to favor the petroyuan over the dollar. The U.S. is no longer the world’s largest importer of oil, so they have lost their ability to dictate the currency used to buy oil. New U.S. tariffs are driving affected countries away from dollar and toward the Chinese petroyuan. If you listen carefully, you might hear the U.S. dollar gasping its last breath as the world’s reserve currency. However, for those who own gold, there’s a silver-lining amongst this news. The last big breakout for gold ended in 2011. 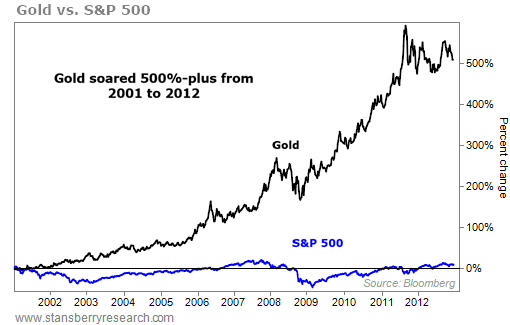 From 2001 – 2011 the price of gold jumped dramatically (around 500%). Investors are piling into gold mining companies again. Gold is already up 3.5% this year. The stock market is long overdue for a correction. Bullion investors, miners and makers of coins will help drive the fifth straight annual increase in total global gold investment in 2018, CPM Group said in its Gold Yearbook 2018 on Tuesday, citing geopolitical tensions and fears that the bubbling U.S. economic expansion will end in a 2019 recession. 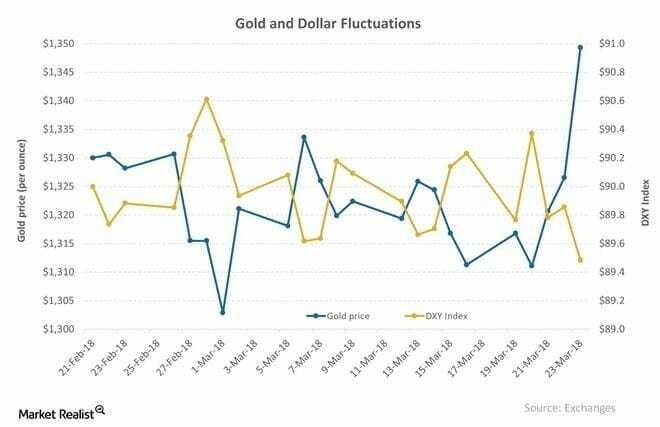 Historically, when the dollar starts performing poorly, gold prices increase. This divergence is accurate 87% of the time. Bottom line… The dollar is weakening, and in the upcoming months it might weaken dramatically. Gold has a history of increasing whenever the dollar slides. 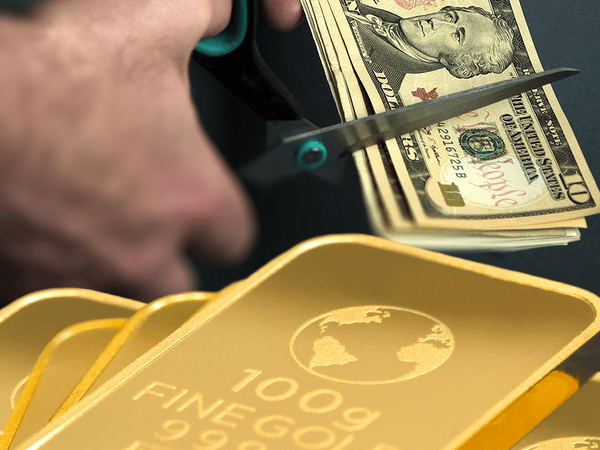 If the dollar were to become close to worthless, how much gold could you invest in with that dollar? Not as much. Isn’t it time you started making your own rules? 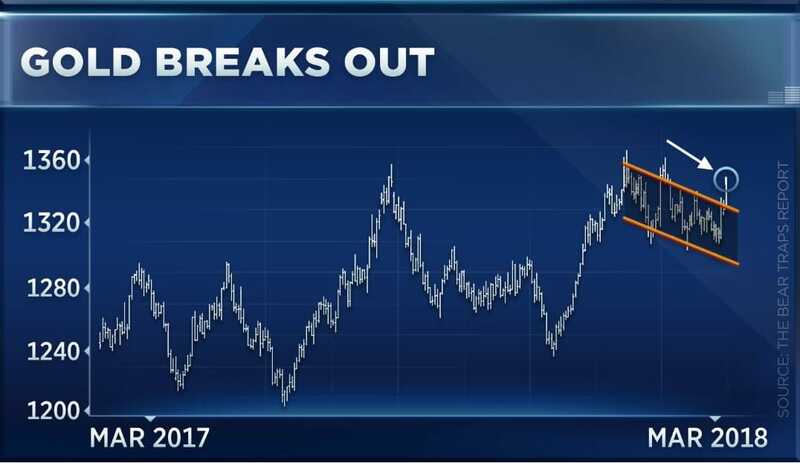 Get in front of this gold breakout and you might be able to worry less about a weakening dollar, and think more about a comfortable retirement.